Kevin Gilyard (born February 5, 1986), better known by his stage name Kevin Gates, is an American rapper and singer from Baton Rouge, Louisiana. In 2013, it was announced that Gates signed to Young Money Entertainment. Kevin Gates first began rapping in 2007, when he began making music with fellow Louisiana natives such as Webbie and Lil Boosie. Gates first received attention with his 2008 single "Get in the Way" featuring Lil Boosie. Soon after, he and Boosie would be incarcerated in separate cases. Gates would then be released in 2011 and immediately returned to recording music. He would soon earn the attention of Lil' Wayne. In early 2013, Gates released a mixtape, The Luca Brasi Story which was called "easily the best rap-related thing" in February 2013 by Spin Magazine. The Luca Brasi Story has been downloaded from popular mixtape sharing site, DatPiff, over 130,000 times. 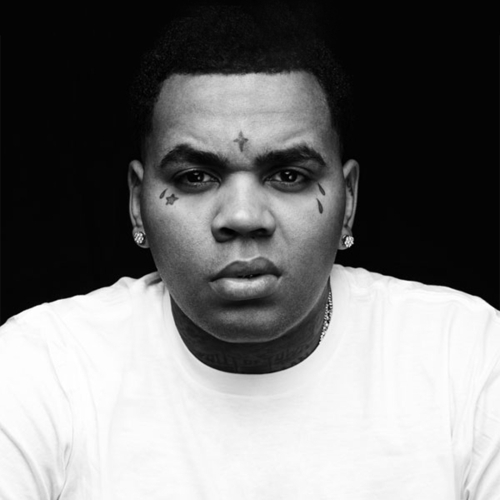 On February 15, 2013, it was announced that Kevin Gates signed to Atlantic Records. Gates was also featured on Pusha T's 2013 mixtape as well as on Gudda Gudda's mixtape. On July 16, 2013 Gates released a street album titled Stranger Than Fiction, the street album was supported by the single "4:30". He released his latest project By Any Means in 2014, and from there exploded in even more popularity. Mid-year made his way onto the cover of the 2014 XXL Freshman list.